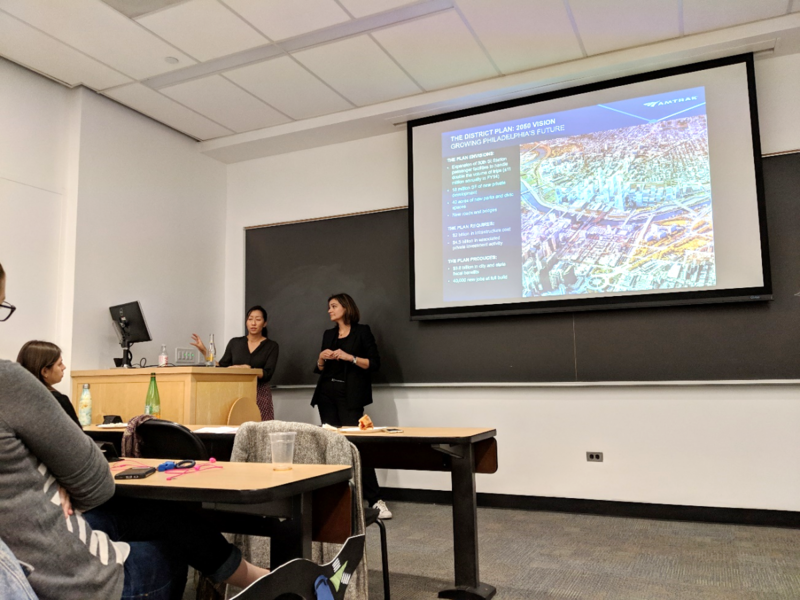 PTC invited Tania Nikolic and Natalie Shieh (both PennDesign alumnae) from Amtrak to discuss Amtrak’s NextGen Vision, which proposes dramatic reductions in travel times between major cities, more frequent trains, and new, dedicated infrastructure for high-speed trains. The presentation centered on Philadelphia’s 30th Street Station, which plays an important role in this vision as a major multimodal transportation hub for the greater Philadelphia region and a vital link along the busy Northeast Corridor. The speakers discussed how the 30th Street Station Improvement Project would fit into the larger, Northeast Region plan and the challenges of planning transit for a mega-region.